My daughter was making crafts this week. 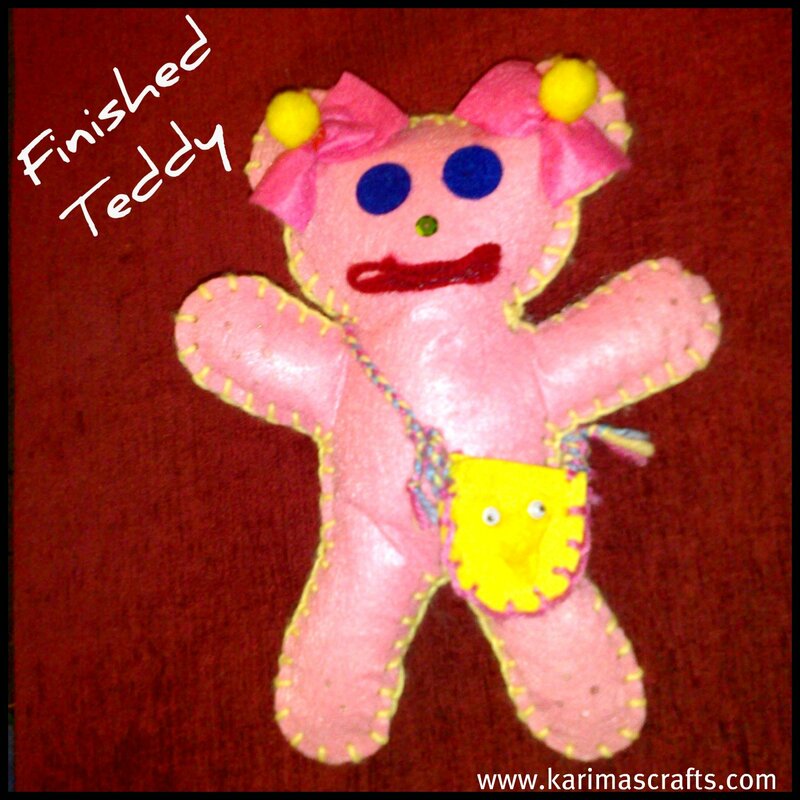 She was given a gift from a friend, ‘Easy to Make Felt Teddy Bear’. It came in a box with all the parts included. My daughter busily blanket stitched around the two teddy bear body felt pieces, leaving a gap to then fill with stuffing, then sewed the opening closed. Then she used the glue to decorate the bear with eyes, mouth etc. She also made a lovely bag using plaited straps made with wool. It was a great project that kept her busy for a couple of hours. Her youngest sister also had the crafts out and sat at the dining table and made some lovely mess too. Below are a few photographs I took of this project.